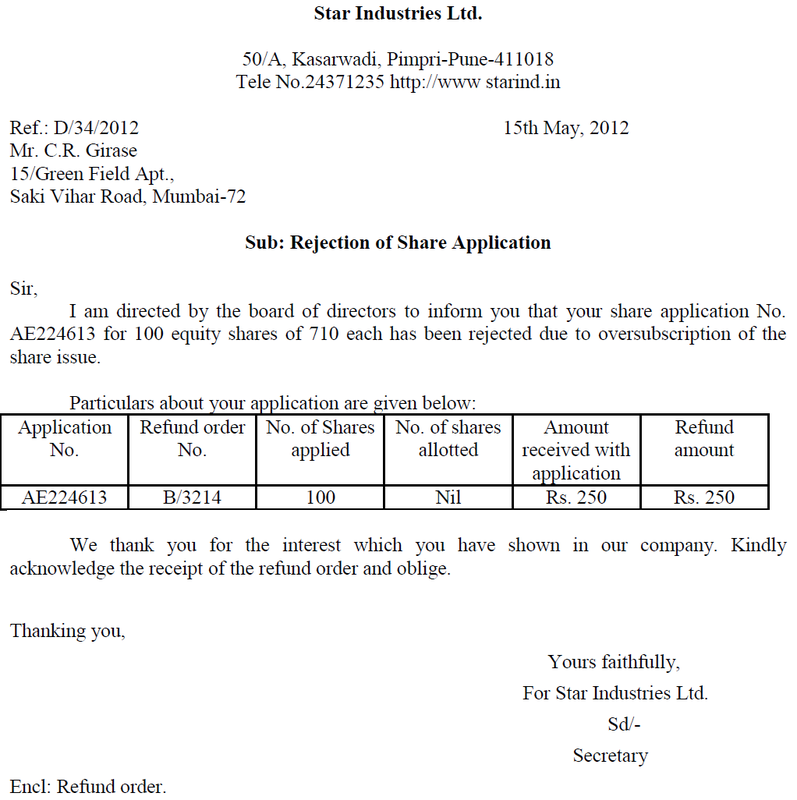 When the share issue is oversubscribed, shares may not be allotted to all share applicants. The applicants to whom shares are not allotted are informed about rejection of their share applications through­ this letter. 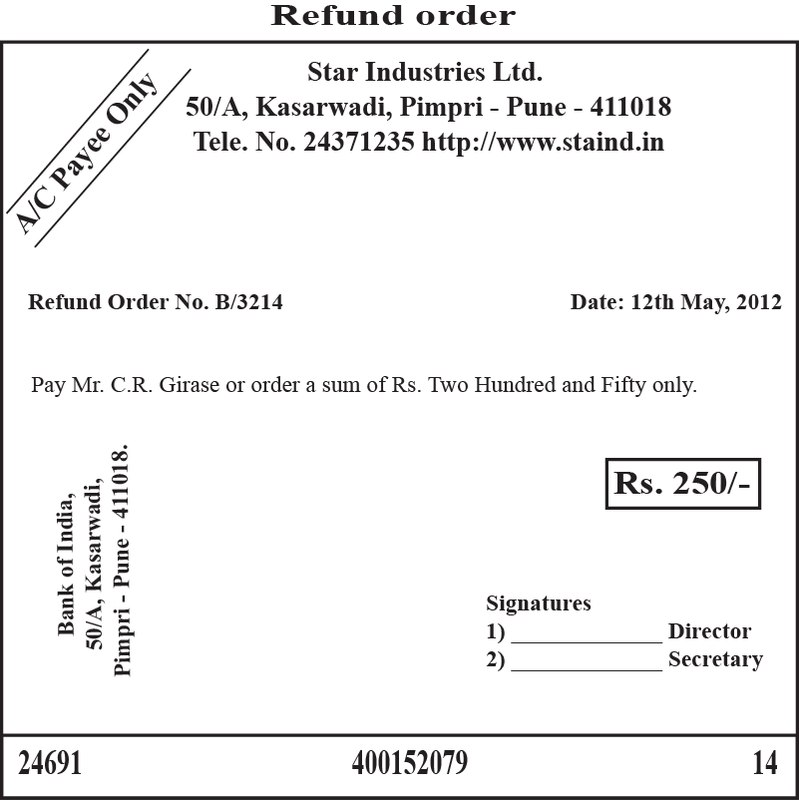 Refund order is sent in order to return share application money. The letter of allotment and the letter of regret are issued simultaneously. The regret letter need not be preserved.